Once considered a pest, Gloria tilapia, also known as molmol, can now give fisher folks cash benefits. The Bureau of Fisheries and Aquatic Resources (BFAR) here has developed a fish protein concentrate in powder form to fight malnutrition from molmol whose invasion is considered a big problem by brackish fishpond owners. Westly Rosario, head of BFAR-Dagupan, said this powdered molmol that is ready-to- eat, may be used in feeding programs for malnourished children like what he intends to do with his organization, the Lions Club. The powder can be used for congee that may be eaten both by young and the elderly, Rosario said. Rosario said the dried powderized molmol could be used as toppings for arroz caldo and other food for protein content. It can also be used to add taste. “We are doing it because molmol is bland,” he said. Rosario said the fish bones of molmol would be included in the processing as they have a good calcium level. The molmol easily enters ponds and multiplies fast, Rosario said. Fishpond owners hate molmol because they eat milkfish fry and compete with fish feeds and space with bangus, he said. Since late last year, the “molmol” has been giving headaches to Pangasinan fishpond owners. Gloria Tilapia became a problem about five years ago in Bataan. It was originally named Arroyo tilapia, then Gloria tilapia and here in Pangasinan, it’s called molmol, Rosario said. 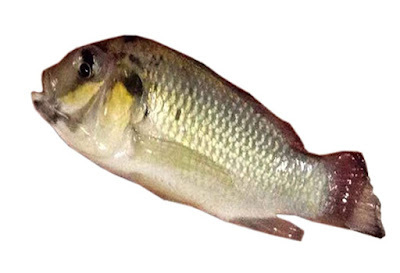 Gloria Tilapia was named as such by some fish growers for some characteristics identical with former president and now Rep. Gloria Macapagal-Arroyo who has moles on her face. The molmol is also small and grows about 10 centimeters only. Meanwhile, BFAR released 5,000 fingerlings of apahap (seabass) in selected rivers to solve fishermen’s woes on the invasion of Gloria tilapia or molmol. He said they are into mass production of seabass fingerlings at the BFAR center here. “We’re the only BFAR center across the country doing this. We encourage seabass culture which is high value and also as part of addressing the problem on molmol,” he said. Seabass is the natural predator of molmol tilapia. He said getting rid of molmol entails three methods: poison them, use of mechanical equipment to get them and the other through biological control by finding other organism that can eat molmol. www.agricultureph.com - The Philippines' Web Magazine on Agriculture. 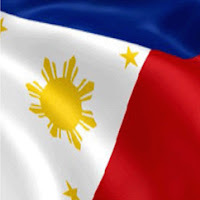 Copyright © 2015 Agriculture Philippines ™ is a registered trademark.